Located in northwest Allen County, Indiana approximately 18 miles from Fort Wayne, the Eel River Gun Club promotes sanctioned precision target shooting in accordance with the rules of the National Rifle Association and the International Shooting Union. In addition, the members of the Eel River Gun Club promote safe, legal firearm ownership and use. Affiliated with the National Rifle Association from its inception in 1969, the Eel River Gun Club promotes NRA programs and ideals. Club activities include precision target shooting for pistol and smallbore rifle and firearm training and practice for members and the public. All training is by NRA Certified Firearm Instructors. Indoor Range: 50 Feet, five firing points for .22 and centerfire pistol and revolver and for smallbore rifle. The firing line area is separated from the waiting area for safety and comfort. Outdoor Range: 25 and 50 yards, ten firing points on a paved, covered firing line, lighted for safety. The targets at 25 yards are timer controlled turning targets. 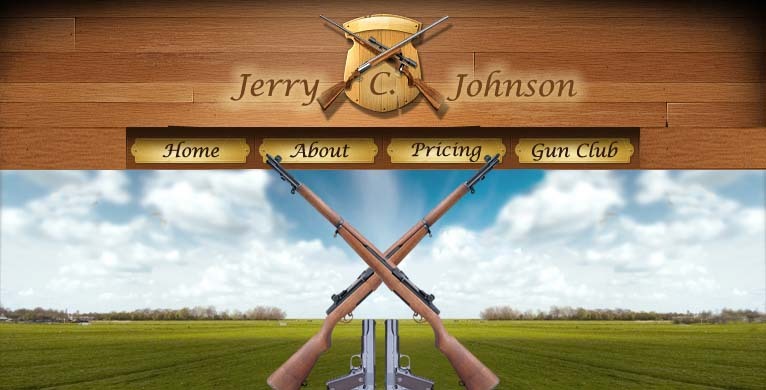 The range is designed for pistol and smallbore rifle shooting. NOTE: These are competition pistol and rifle ranges. No magnum or high velocity ammunition may be used. The indoor range is restricted to lead bullet loads only. Shotguns and centerfire rifles are not used on these ranges. Pistol: NRA registered Indoor Pistol leagues for .22 and Centerfire Pistol Thursday evenings during the winter (mid-September to mid-May). NRA registered Outdoor Pistol leagues during the summer (mid-May to mid-September). Eel River Gun Club holds NRA sanctioned Pistol Tournaments winter and summer as well. Rifle: NRA Registered Smallbore Rifle leagues are held two Sunday monthly winter (Indoor 4-position October through March) and summer (Conventional Outdoor prone June through September). The Eel River Gun Club offers NRA Basic Rifle, NRA Basic Pistol, and the NRA Personal Protection Courses. Copyright 2006-2017 Jerry C Johnson All rights reserved.